Every kid beams when when the steam whistle blows on this historical train that chugs between Hill City and Keystone in summer and fall. Even if you don’t take a ride, it’s fun to watch it rumble into the depot. Learn about South Dakota’s T-rex skeletons, triceratops and ancient sea fossils at this Hill City museum run by the folks who unearthed the T-rex named Sue displayed at Chicago’s Field Museum. A bonus: Everything Prehistoric is one of the area’s best souvenir shops, with field guides, educational games, rocks and fossils. Get the kids involved in presidents and history with a Junior Ranger activity packet and the chance to earn a ranger badge at Mount Rushmore National Monument. Return later in the evening for a stirring patriotic program that includes lowering the United States flag and illuminating the monument. 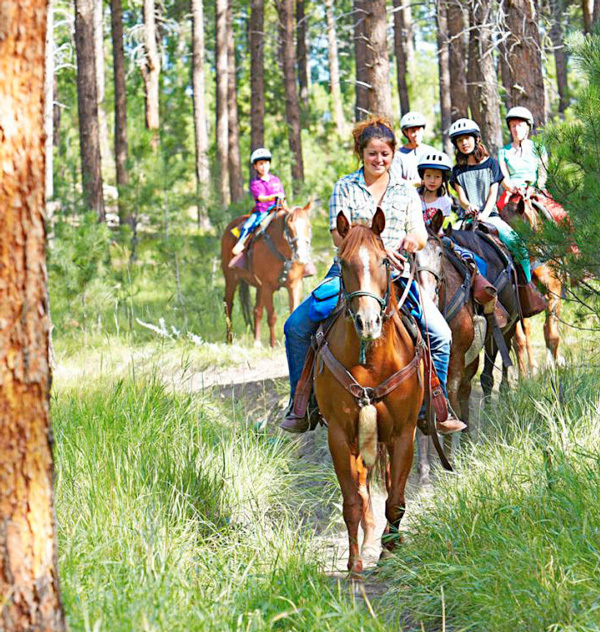 If you’ve never been on a horseback trail ride, the scenery of Custer State Park near Blue Bell Lodge makes this a memorable place to cowboy up and venture into the woods. You also can get close to the park’s iconic bison on a Buffalo Safari Jeep Tour from the State Game Lodge. 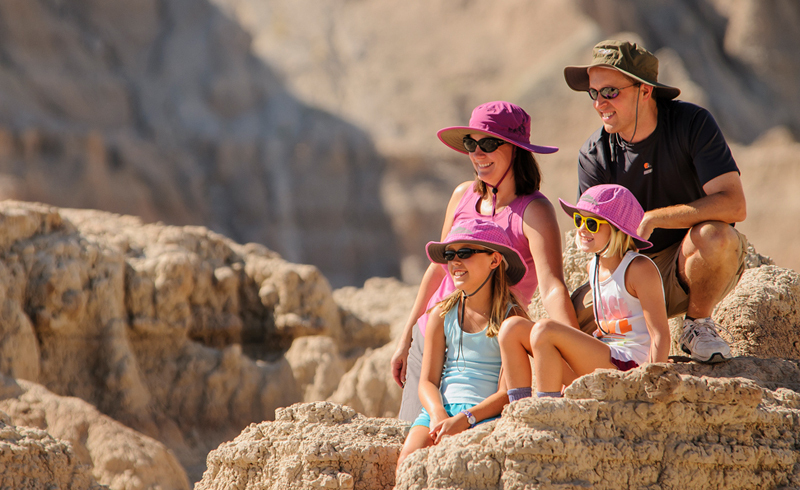 Kids can earn Junior Ranger badges while learning about cave formations such as boxwork, flowstone and underground pools at Wind Cave National Park and Jewel Cave National Monument, the third-longest cave system in the world. There's a wealth of free things to do between Main and St. Joseph streets and Sixth and Seventh streets. Pose with life-size statues on the City of Presidents walk, admire Smithsonian-worthy Native American art at multilevel Prairie Edge Trading Company and Galleries, splash in fountains at Main Street Square and have a funky family photo shoot in graffiti-covered Art Alley. Grab a tasty lunch in the outdoor courtyard at the family-friendly Firehouse Brewing Company. 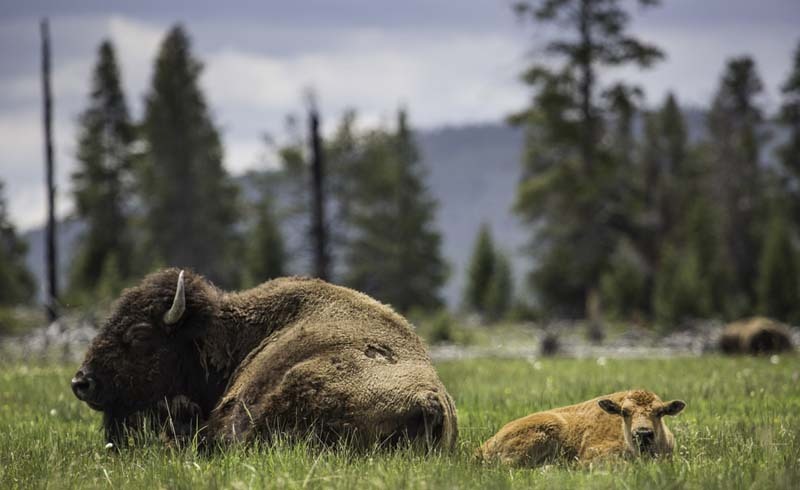 Drive the 18-mile Custer State Park Wildlife Loop on the lookout for antelope, Rocky Mountain sheep, the park’s comical begging burros, chirping prairie dogs that duck up and down from stretches of prairie, or the herd of 1,300 bison. Don’t miss a side trip up Mount Coolidge; binoculars bring into view both Mount Rushmore and Crazy Horse monuments, plus the Badlands on a clear day. Tap your inner paleontologist at The Mammoth Site, a world-class 40-year-old ongoing dig into an ancient sinkhole filled with mammoths. Guides offer 30-minute tours of the Hot Springs dig site, which is surrounded by the exhibit hall. To really impress the kids, reserve a spot on one- or two-hour paleontologist excavations or an atlatl throwing experience. Whether you have kids in a stroller or teens chomping for action, head to Sylvan Lake Lodge to connect to a number of trails. 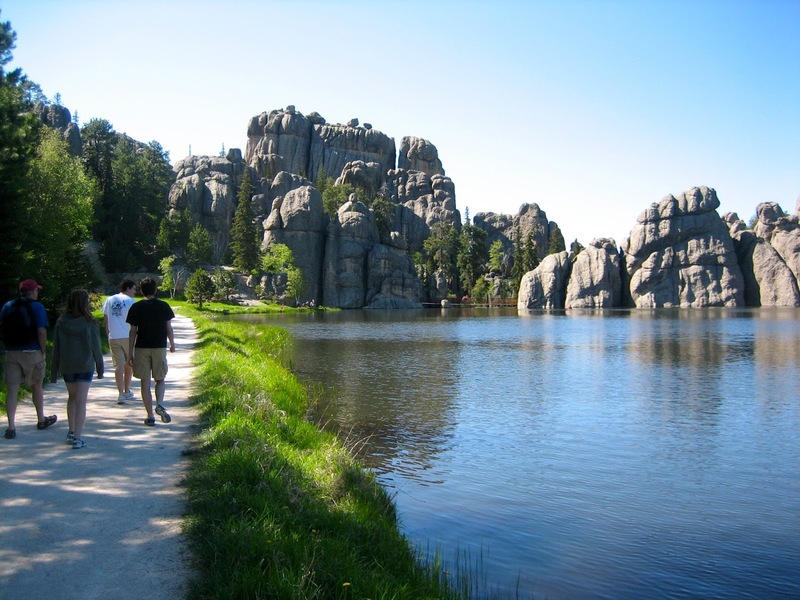 The loop around Sylvan Lake ranks among the easiest and prettiest hikes in Custer State Park. Go behind the lake and dip into the rocky wonderland of Sunday Gulch or grab a map to tackle Little Devil’s Tower, Cathedral Spires or Harney Peak trails. Keep an eye out for mountain goats! 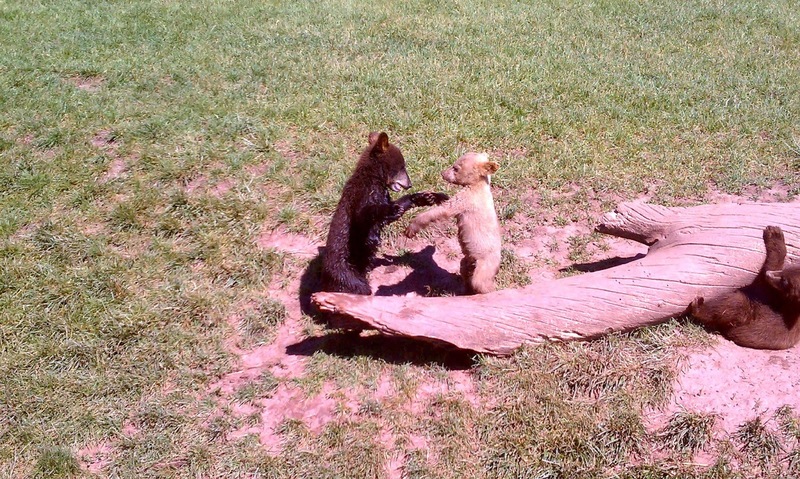 Zoo-loving kids go wild at two of the area’s top animals attractions, both within a 4-mile stretch on Interstate-16 south of Rapid City. Give bears the right of way on a 3-mile drive through Bear Country USA, which also includes elk, bighorn sheep, bison and wolves. Explore the fascinating, slithery world of snakes, amphibians, alligators and insects at Reptile Gardens.